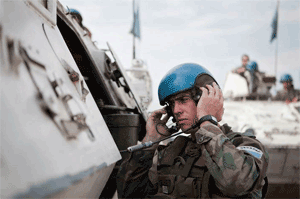 For years, the UN Secretariat said caveats were not allowed in peacekeeping operations. Mentioning them was a kind of “taboo”. They existed on the ground but were rarely acknowledged at the political level in New York. But when operations faced a crisis and troops needed to take more risks than usual, the hitherto hidden restrictions quickly appeared, creating obvious command and control issues. Unfortunately, with peacekeeping operations now facing increasingly challenging environments, contingents refusing to follow orders, or waiting for their national authorities to confirm or countermand orders received from the UN mission’s authorities, has become the norm rather than the exception. Should we condemn this or understand the reasons why UN missions are facing such situations? It is time to stop lamenting that caveats exist and try to better learn how to manage them. 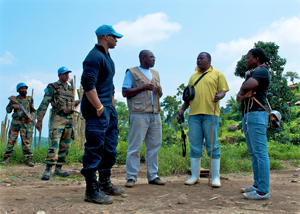 In June 2015, the High-level Independent Panel on Peace Operations (HIPPO) report recognized that “the ability of field commanders to ensure performance is severely hampered by caveats and national controls”. The report’s language was strong and it said that after deployment “any further caveats beyond those national constraints accepted at the outset, cannot be condoned”. Undeclared national restrictions, it stated “should be treated as disobedience of lawful command”. The September 2015 Secretary-General’s report on The future of United Nations peace operations called on every contributor to communicate during negotiations over possible deployment those national caveats that would apply to their military or police contingents. The UN Secretariat would take these caveats into account, including whether to proceed with deployment. “Additional caveats beyond those explicitly agreed by the Secretariat cannot be accepted after deployment”, the report said. In the course of 2015, the Secretary-General instructed the leadership of all missions to inform Headquarters of any incidents where contingents refused to follow orders given by the Force Commander or Police Commissioner, whether on grounds of new or existing national caveats. The language of this directive was equally forceful and in such cases the Secretariat would immediately inform the concerned Member State and, the Security Council. Where no remedial action was forthcoming, the Secretariat pledged to repatriate the unit concerned. In addition, the Kigali principles adopted in May 2015 under the theme “Protection of Civilians through Peacekeeping: From Mandates Design to Implementation” asks member states “not to stipulate caveats or other restrictions that prevent us from fulfilling our responsibility to protect civilians in accordance with the mandate”. In March 2016, the Special Committee on Peacekeeping Operations (the C-34) under the item on “strengthening operational capacity” endorsed “the call for every contributor to communicate, during negotiations over possible deployment and before deployment, any and all national caveats regarding the use of their military or police contingents”. But it did not endorse any sanction for those countries that produced new caveats in the course of the operation. These recommendations highlight the confusion in thinking about the nature of caveats and how they should be properly managed. 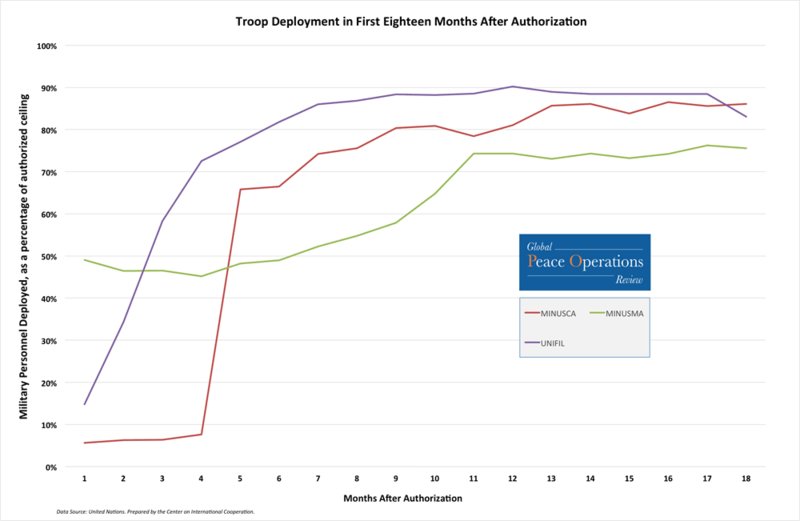 In the context in which UN missions increasingly deploy, the presence of caveats can undermine the coherence of the chain of command and the effectiveness of operations on the ground. However, the reports that condemn them seem to confuse caveats with disobedience, inability to perform, or differences of opinion on the security environment. None of the reports tried to analyze, understand, or explain the reasons why they might be legitimate responses to domestic political concerns back within the contributing country. Caveats are a part of any international military deployment abroad. Parallel chains of command always exist as no member state releases the full command of its troops to any international organization or to a military coalition. It could be said they are only providing an operational or a tactical control. The role of a national representative, or contingent commander, among contingents shows the overall acceptance of national reporting lines between capitals and national contingents. As explained by Claes Nilsson and Kristina Zetterlund in a report from the Swedish Ministry of Defense, when countries “participate in a UN-led peacekeeping mission they place their troops under the operational control of the Head of the Military Component. The specific terms for each national contingent, including where they are to be deployed and for what purposes, should be specified in a Memorandum of Understanding (MoU) between the country and UN Headquarters”. The problem is that for the time being, this is only done in the “statement of unit requirements” that is never signed. The Department of Peacekeeping Operations (DPKO) is trying to change this and link those two important documents. In this context, caveats set political safety limits. They are strategic warnings, explanations to prevent misinterpretation, cautionary details to be considered when evaluating, interpreting, or conducting an operation. They are “red lines” used by member states to maintain control of how their troops are used and they help manage the political implications of their deployment at home. They ensure the strategic national interests of a contributing member state are met when participating in multinational operations. They ensure compliance with their own doctrine and that the troops are deployed within their means and capabilities. In short, caveats are a risk management tool. Moreover, they set the level of risk a contributing country is willing to take – in the use of force for self-defence and defence of the mission mandate – within the framework of its strategic national interests. The type of troops deployed, the force protection provided to them, and their location are usually good indicators in this regard. For some countries, this reluctance “to put troops in danger” is the result of national legislative and political processes. Parliaments put restrictions on to what level of risk their country’s personnel should be exposed. This often leads governments to try to reduce the risks run by their personnel to ensure they do not exceed these limits. The level of acceptable risk is generally proportional to the intensity of strategic national interests. The national caveats are geared to the type and extent of risks that a country is prepared and willing to take. Troops deployed in countries where contributors have great interests tend to take more risks. Conversely, where there is no national interest, it is rare to find troops prepared to take high risk (i.e be prepared to die) on behalf of the UN. The “real” or general caveats that have been declared by states beforehand and discussed during the negotiations over the Memorandum of Understanding conducted with each and every contributing country by DPKO, but not necessarily written in the concept of operation or operations plan of the mission. Such a process does not ensure that the Force Commander knows of them when he is deployed to the mission. Most often, he tends to find them out once on the ground in a crisis. The “hidden” caveats that are acts of tacit disobedience due to a misunderstanding on the mission assigned or to an inability or unwillingness to behave as ordered by the mission’s military leadership in times of crisis or during regular operations. They are inevitably less predictable than the general caveats. They are often the result of misunderstandings between the leadership of the UN mission and the contingents facing new, uncertain situations or when contingents are asked to conduct operations that their contingent commander does not consider to be part of their approved assignment, or to be lying within their risk parameters. Under these circumstances, the default position tends to be to do nothing and make excuses for inaction later. Caveats and acts of disobedience often emerge in times of crisis when circumstances change and when troop-contributing countries (TCCs) get the impression that what they are being asked to do exceeds their capacities and their original mandate. They should obviously be dealt with differently by the Organization. DPKO has started to tackle the issue but some other measures are needed improve the clearance procedures of the planning and operational documents and to increase the trust between the different stakeholders. How does NATO deal with caveats? In their command and control structures, caveats are declared, written and negotiated by each contributing country during the elaboration of the concept of operations and the operations plan. These two operational documents prepared by SHAPE (Supreme Headquarters Allied Powers Europe) and the IMS (International Military Staff) are agreed upon through the Military Committee by all member states. This means not only are caveats known by all contributing countries, but by all NATO structures in Brussels and the Force Commander in the field. They are taken into consideration during the strategic and operational planning. If the situation on the ground evolves, the concept of operations will be changed accordingly as well as the operations plan. These caveats, as well as cases of concern, will also be discussed within the Military Committee among the Chiefs of Defence military representatives of all contributing nations. This results in discussions and negotiations in capitals at the strategic level and at NATO headquarters in Brussels. If such procedures cannot simply be replicated in a UN context with more than 120 troop-contributing countries, the UN can still find inspiration in them to create its own mechanism to deal with such issues in New York. As far as the general “caveats” are concerned, those TCCs expected to get involved in conducting major operations should declare their caveats not only in the MoU signed with DPKO but also in the concept of operations and the operational plan. This would encourage early discussion on the way operations will be conducted, and would later inform the Force Commander on the ground of the different caveats he will have to accommodate. In addition, these documents should be sent to the strategic level of each member state for validation. The strategic level of each member state is the only one to be able to link the political orientation given by national authorities to the requirements of their troops on the ground. The strategic level of member states needs to know and validate what is written in the concept of operations in order to feel committed to the conduct of that operation. This would avoid the current practice of getting those documents through informal channels, with the member state’s strategic level having no ownership of the documents’ implications and the Secretariat having no way of holding troop contributors accountable to documents that have not been formally signed and approved by the appropriate authorities of the member state. This should be a military/technical discussion, not a political one that aims at changing the mandate given by the Security Council. To deal with acts of disobedience, DPKO has undertaken a few measures. Through its work on performance and force generation, it is now better able to select contributors and troops that meet UN standards and requirements. Furthermore, DPKO has recently repatriated contingents that were not up to UN standards or that had not followed through orders given by the Force Commander. If such rigorous measures can be taken in extremis, the long-term solution probably lies elsewhere, at the policy level. In order to act against cases of disobedience, a mechanism should be set up by which military concerns of TCCs could be expressed. This could be done either by using the Military Staff Committee or by creating small (preferably military) coordination committees for each and every mission. The aim would be to have a military discussion behind closed doors involving the Military Adviser of the Secretary-General and his colleagues, the military attachés of the permanent missions of the members of the Security Council, and the military attachés of the main TCCs involved. At times, the Mission’s Force Commander would be involved in order to find a military solution to the issues raised by cases of disobedience. Having such a discussion in New York could mitigate that tendency to refer back to capitals and deal directly with disobedience cases, even of it will never replace the needed political discussion on how to implement the mandate. Ultimately, national caveats and acts of disobedience will only disappear when trust has been increased among the different stakeholders of peacekeeping operations. But that is unlikely to be regained in the short-term as there is no consensus between the decision-makers, the implementers, and the contributors on how to use force to give robustness to peacekeepers and to protect civilians. Despite the reflection led by some member states and the UN Secretariat in 2009-2011 in the context of the New Horizon document, the concept of “robust peacekeeping” has never gained whole-hearted support among the main TCCs. The current reform trends pushed by Western countries have ignored this. This creates tensions rather than solidarity at all levels, as the burden of peacekeeping remains unevenly shared; those who mandate and pay for missions are not generally the same as those who contribute troops or police. The so-called return of Western and European countries to peacekeeping is unlikely to change that as they will not be in a position to replace the contingents sent by the African or Asian countries. Obviously, China might change that configuration as it has become in a unique position of a P5 who mandates, pays (second main financial contributor), and contributes (with 2,622 peacekeepers). Nevertheless, the lack of unity and clarity at the strategic level inevitably translates into uncertainty on the ground, leading to unexpected caveats, and sometimes cases of disobedience or insubordination. It is all the more complicated by the current lack of genuine dialogue between the key stakeholders: the Security Council which is always asking more from underequipped peacekeepers and the TCCs who are ready to accept the reimbursement cheque but less prepared to accept the responsibilities that come with it. But who is to blame? Indeed, who is ready to die for another country’s problem, for Juba, Kinshasa or Kidal? With the financial incentives to join a mission being so strong, the tendency for troops from less developed countries will remain. There will also be an incentive to agree to the terms of reference requested by the Secretariat without fully disclosing intended caveats, in order to be accepted as contributors, and reap the financial benefits of deployment. When caught by surprise, a contingent commander will immediately consult the capital and so-called “unwritten”, “hidden”, or “sudden” caveats appear. In this context trust can only be regained through dialogue and effective triangular cooperation and by giving peacekeepers more achievable missions. In essence, trust can only be regained by improving leadership: troops that trust his/her leadership, no matter what nationality he or she is, will more likely obey their orders. It is therefore important that Force Commanders are well selected, know the caveats (through the concept of operations in particular) and assess the tactical limitations of their contingents. It takes good and experienced leaders to know and assess their troops, and to test and train them in advance. TCCs need also to better trust the UN’s command and control structures. A 2013 DPKO survey showed that two-thirds of all member states found UN command and control structures “somewhat clear”. Furthermore, command and control arrangements between different components in the UN were said in interviews to be unclear at times. As the above mentioned report from the Swedish Ministry of Defense pointed out, “it is possible that member states for various reasons have an outdated understanding of UN command and control, but the issue remains: UN command and control is often seen as unclear and inefficient.” Having TCCs participate one way or another in the validation of operational documents would contribute to deal with that lack of clarity on command and control. The debate is not about whether member states will or will not abandon caveats but how to set up a mechanisms to deal with the inevitability of them. Full command over their troops will always be kept by member states; reducing national caveats and cases of disobedience comes with improving the processes by which operations are better planned and operational documents regularly updated. It comes with better transparency and information sharing, improved leadership and strengthened command and control arrangements for operations and better information sharing between all contributors. And finally, it comes with an improved triangular dialogue between all stakeholders to promote the professionalization of peacekeeping operations. Despite their complex environments, UN operations should strive to avoid having too many caveats, that undermine their responsiveness and the integration between all the various contributors, as recently pointed out by the Canadian Defence Minister, Harjit Sajjan. But for that to happen, it is also up to the Security Council to decide on more realistic and achievable mandates and to be politically more robust to back up peacekeepers on the ground.